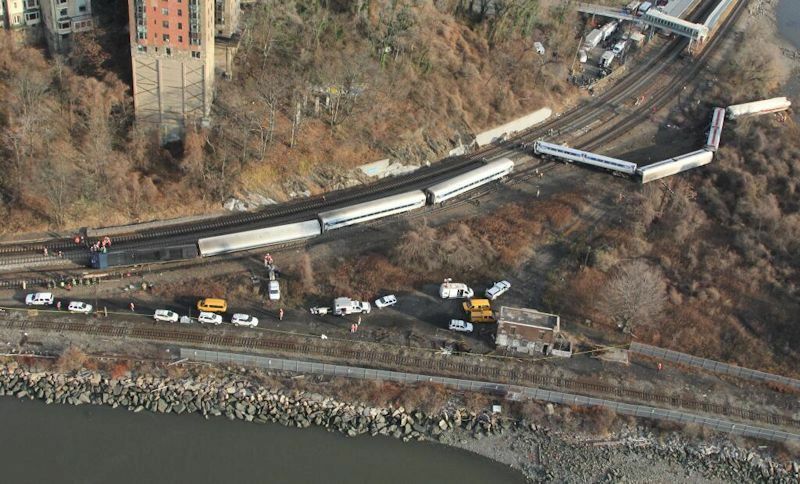 Last Sunday, a Metro-North train in New York derailed, killing four passengers and injuring 67 others. Apparently the train engineer had been “nodding off” and was unable to slow the train before it hit a curve on its route, causing it to derail. The tragedy is shining a new light on rail projects throughout the country — and it’s particularly relevant in California, a state that has spent the last half decade trying to build a high-speed rail system. California’s high-speed rail project has been problematic for some time. 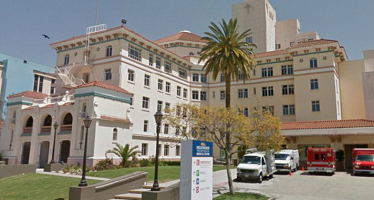 The project has gone well over its original budget, and costs continue to pile up, often without ways to pay for them. The California rail — which has been characterized by mismanagement, passed deadlines, and broken promises — also faces significant legal hurdles. 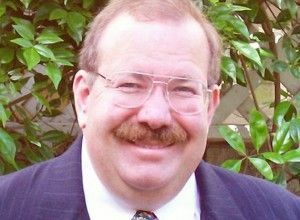 But beyond the challenges that CalWatchdog.com has already been covering, there’s another simple question: Just how safe are trains? A good measurement for safety is “deaths per billion passenger miles.” A recent report in the journal Research in Transportation Economics, titled “Comparing the fatality risks in United States transportation across modes and over time,” explained the different levels of danger. Cars and light trucks see about 7.28 fatalities per billion passenger miles. Commuter and long-haul trains, on the other hand, experience a fraction of that, just 0.43. However, buses and airplanes are significantly safer than the other two, with just 0.11 and 0.07 deaths per billion passenger miles, respectively. While trains are significantly safer than cars — and notably more dangerous than buses and planes — there has been a recent uptick in the number of train accidents, according to the National Association of Railroad Safety Consultants and Investigators’ Robert Halstead. Railways are relatively safe. However, there are still ways that they can improve, according to Halstead. Simple measures like adding seatbelts could prevent deaths. The four killed last Sunday were ejected from the train. But there is more sophisticated technology available, known as the positive control system. A positive control system essentially functions as an autopilot for train engineers. If an engineer nods off at a curve, for instance, the positive control system would reduce speed entering the curve. The futuristic technology will make trains even safer. And it’s mandated to be implemented on train systems throughout the country by the end of 2015 (though the deadline may be extended to 2020). There’s just one problem: It’s extremely expensive. It will cost billions to implement it throughout the country. For Los Angeles’ Metrolink, it will cost more than $200 million to implement positive control systems on about 500 miles of rail. It seems like a similar theme: Rail might someday be the best way to get around; it just costs a lot more than most people would hope for. America should have invested in public transportation and developed systems similiar to those used in europe back when we were a thriving economy. It’s too late for that now. Today most of our money is being wastefully siphoned off by health care, defense, public employment, subsidizing poverty, subsidizing foreign economies and financial con-artists on Wall Street. There just isn’t any money left over to spend on improving the lives of our common citizens. America is like a retarded nation when it comes to managing public tranportation systems. The 6-year average for fatalities per billion passenger miles in the european rail system is 0.26. As shown above, ours is about .43. And America invests in much heavier and more expensive trains as a safety precaution. lol. Naturally, heavier trains require more fuel too. Do you know what safety model the europeans employ to reduce train fatalities? It’s called ‘accident avoidance’. lol. So just like with many of our other American industries, we pay more to get less. lol. So you are 60% safer on the german autobahns with cars going 120 kph than you are on the American freeways where the speed limit is 55 mph. lol. We’re just a very backwards nation when it comes to many things. But we have the largest number of per capita intercontinential ballistic missiles, banks and gas stations of any other nation in the world. For that you can be proud. A couple of problems with this. America’s population density is much less than Europe’s. Second, Americans drive a lot more than Europeans. In a couple of hours you can drive (or take a bus) across all Germany, North to South. It takes several days to do that in America. When I was in the U.S. Army in West Germany, 1979-82, I knew many Germans who got around just fine without cars. Not so in the USA. And actually, Russia has the largest per capita number of ICBMs. By treaty, they have the same number as we do, for half the population. Of course we have more banks than anyone because we still, for a couple years anyway, have the world’s largest GDP. And we have more gas stations because we have more cars than anyone. Part of my argument was that if we had better public transportation systems (like they do in Europe) the number of Americans dying on our roadways would fall dramatically. But due to lack of viable options, we’ve been forced to become dependent on our cars for travel. This, of course, only compounds congestion on our roadways and results in more roadway fatalities – and wastes a tremendous amount of fuel making us that much more dependent on foreign oil to run the country placing us in a precarious position. But due to government mismanagement we’ve flubbed that opportunity to build effective urban and inter-city/county consumer transport systems. It was possible in the 40’s and 50’s or maybe even in the 60’s when we had the luxury of stellar economic growth. Today it’s cost prohibitive due to all the other waste, fraud and corruption at the top. Plus, our growth rate has slowed tremendously and we rely more and more on debt financing than ever. So whatever method you choose to go with, we have a much higher rate of traffic fatalities than do the western Europeans. Oh, and less population density should result in fewer roadway fatalities, not more. Maybe it’s time to ask “Why?” and fix the problem. Oh, you’re right about the ICBM per capita comparison. Thanks for the correction. We’re #2 behind Russia. But since it would take less than 1% of our nuclear arsenal to turn the globe into a nuclear fireball maybe that’s another huge waste of money, huh? Nothing to be proud of IMO. Both the oil and banking industries have raked the common citizens over the financial coals in the last few decades. Sure, we have the largest GDP but we are also, by far, the largest debtor nation in the history of the world running trillion dollar deficits. If your neighbor had an annual income of $27,000, yet spend $37,000 year and had run up over $170,000 on his credit cards what would you call him? Would that lexus parked in his driveway impress you? Banks and gas stations are overrated. If you’ve been to Europe you’ve witnessed the cultural differences first hand. Most western Europeans live quality lives and don’t have banks and gas stations on every street corner. Examining at the pros and cons – I would much rather live under socialism than in a kleptocracy under crony capitalism. I preferred old America when capitalism really meant something. That’s more than double for all traffic fatalities. But if you just include motorists, it’s 115 for NYC and 672 for VA, or 5.8 times as many. If you tally only cyclists + pedestrians, it’s 176 for NYC and 100 for VA. That’s 76% more for NYC. It reflects how NYC cities are clogged with people walking or on cycles, whereas a rural VA interstate will have few or no pedestrians and cyclists. So what you are saying is that if we had half the volume of motorists on our California freeways we would have more accidents and traffic fatalities since there would be less density? Sorry. I just can’t buy that explanation. So the way to combat trffic fatalities is to add more cars to our roads and create more density? So if we had a better public transportation system (like Europe) and removed 30-40% of our motorists from the roadways, thus decreasing roadway density, we would have more traffic fatalities? None of that makes any sense to me. Also, did you note the statistical data I presented above comparing traffic fatalities in the US and Europe using “fatalities for billion kilometers traveled” as the opposed to “fatalities per 100,000 residents” as the measuring stick? You omitted any reference to it in your response. This measures fatalties based on distance traveled. Apples to apples comparison. And the US still far exceeds western Europe when it comes to traffic fatalities. Unless we admit as a nation that we have a problem the hope for improvement or a solution is non-existent. The ‘density’ argument just provides another convenient excuse. The Collapse Encyclopedia is at it again! There is no price that is too high when it comes to human lives. No human- being should be the only safety-switch between the train and the Red Light. Even if the automatic equipment were installed, there should be no texting, or drowsy driving allowed. Having good public transportation available is a quality-of-life issue–we are only here once. If there is no price too high when it comes to human lives then why do the large majority of dems favor killing children in the womb? Human life is valuable to the oligarchs only when it translates into putting dollars into their pockets. The invasion of Iraq and it’s aftermath was reported to be responsible for the killing of 500,000 Iraqi men, women and children. And that wasn’t just a republican war. The majority of dems in congress approved the funding for it too. Did anyone over here bat an eyelash over the loss of those human lives? Did Barbara Boxer or Diane Feinstein ask for a moment of silence in memory of those fallen humans? Were there any tears shed? Human life is just a political and economic commodity. And whenever they start talking about ‘protecting’ or the ‘safety’ of human life….watch out. Another ‘right’ is about to get taken away. HEY guess what its AGANST the law already to text and drive for when you drive a truck, car, plane, and TRAIN. IF you get caught using a phone when driving a train, they will suspend you, or if your train crashes because you were on your phone you will get fired and go to jail. And plus I trust trains way more then anything else and you CANT NOT have computers driving fright trains that is way to dangerous. but Amtrak could though. I think seatbelts wont work on trains. Really what type of stupid idea is that? and Are you all talking about both fright and passenger trains? I am a registered Democrat. I don’t favor killing children in the womb unless there is a reason. I favor education to keep unwanted pregnancies from happening. I favor keeping abortion rare and safe. One doesn’t have to be a Democrat or a Republican to be so sensible! It is not possible for you to be any more agonized over the war casualties than I and a lot of other people. You don’t have a monopoly on common decency. Ok, so you have one opinion. My question is why do the majority of dems support abortion and terminating life in the womb if we are to assume that there is no price too high when it comes to human life? Since you revealed yourself to be a registered dem I would be interested in your take on this. The dems have forever claimed to be champions for the ‘little guy’. An embyro is the epitome of the ‘little guy’. It’s confusing. Thanks for your opinion on war casualties. I just wondered why Diane Feinstein or Barbara Boxer who belong to the party of compassion didn’t organize any sort of memorial for the reported 500,000 fallen Iraqi men, women or children who died as a result of our invasion in 2003? Again, it confuses me. Seesaw your the Democrat-type that won WW2, gave us the GI Bill, one of the only government programs that ever worked, went to the moon and back to the awe of the world, stood up to world communism ala Cuban Crisis, Berlin Airlift. But today Democrats are Puss and Boots…..PC this….too cold…to warm……Shake hands with Castro and bow to oil sheiks and Chinese dictators. And you can’t wear an American flag image on a T-shirt in miserably failing government run California schools…..no offend temporary/permanent visitors! To defeat the bullet train, CalWatchDog should compare with airport costs. Make sure you count how much local, state and federal money for airport subsidies, airline grants, FAA and security infrastructure, land grant money, and so on. Rail will only detract from this money already spent. Plus there’s airport jobs to consider.